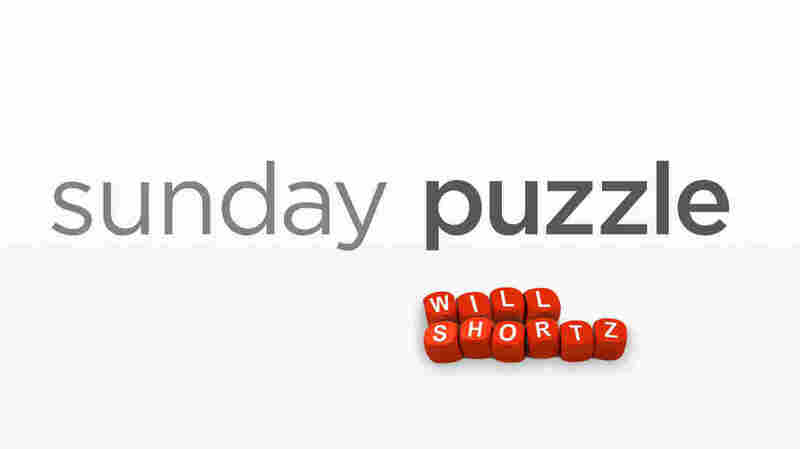 Sunday Puzzle: Categorically Speaking In this week's challenge, each clue is a thing that belongs to two categories. Name something that's in both. On-air challenge: Each clue is a thing that belongs to two categories. Name something that's in both categories. Last week's challenge: Last week's challenge came from listener Steve Baggish of Arlington, Mass. Think of two synonyms — one in 5 letters, the other in 4. The 5-letter word starts with S. The 4-letter word contains an S. Change one of these S's to an A. You can rearrange the result to name a group of people, in 9 letters, that ideally have those two adjectives describe them. What group is it? Winner: Vicki Magaw of Iron River, Wis.
Next week's challenge: This week's challenge is a common two-word expression. The expression consists of 8 letters and uses all five vowels — A, E, I, O and U. It has only three consonants, one of which is repeated. The first word in the expression has two letters and the second has six letters. What familiar expression is it? If you know the answer to next week's challenge, submit it here. Listeners who submit correct answers win a chance to play the on-air puzzle. Important: Include a phone number where we can reach you Thursday, August 31, at 3 p.m. ET.